Balancing two distinct eras and creating a cohesive design in one home is a difficult task. 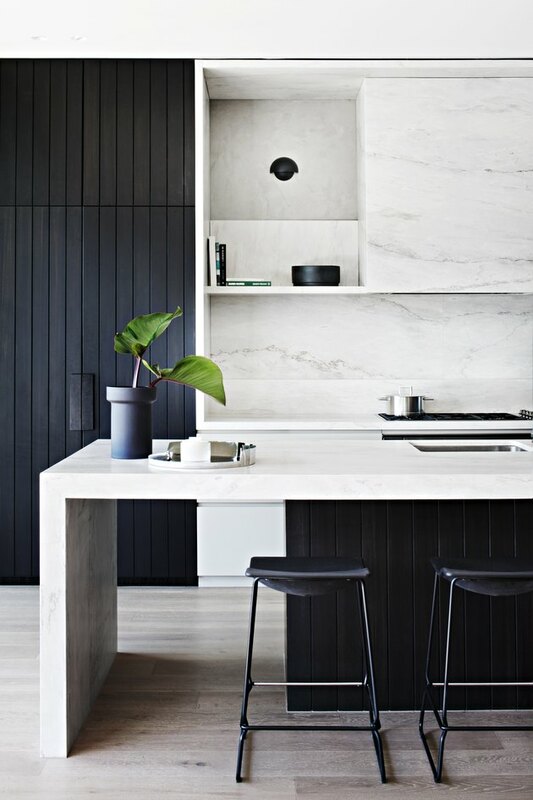 For the Australian interior design firm MIM Design, the harmony came from understanding the needs of the clients and working with the architect hired to design the additional square footage. 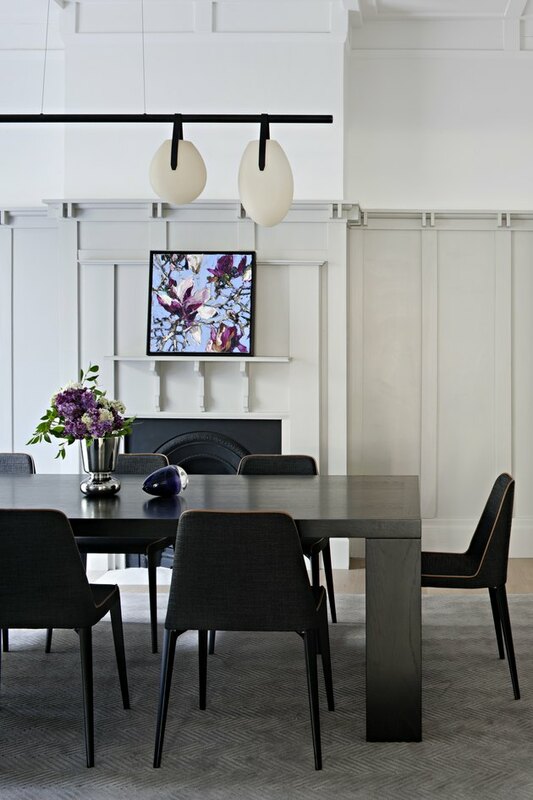 Lead Interior Designer Kristina Reeve of MIM Design and Lead Architect Emma Tulloch of Nixon Tulloch Fortey Architecture worked together to create a space that blends old and new. The duo set about transforming the two-story Edwardian-era home from dark and cramped (typical of houses built during that era) to lively and full of natural light. MIM carefully curated the interiors to work with the architecture, with a scheme that played on color contrasts and the light of the newly opened-up space. Natural textures mixed with open windows showing the views of Melbourne make this home a dreamy ode to the city. 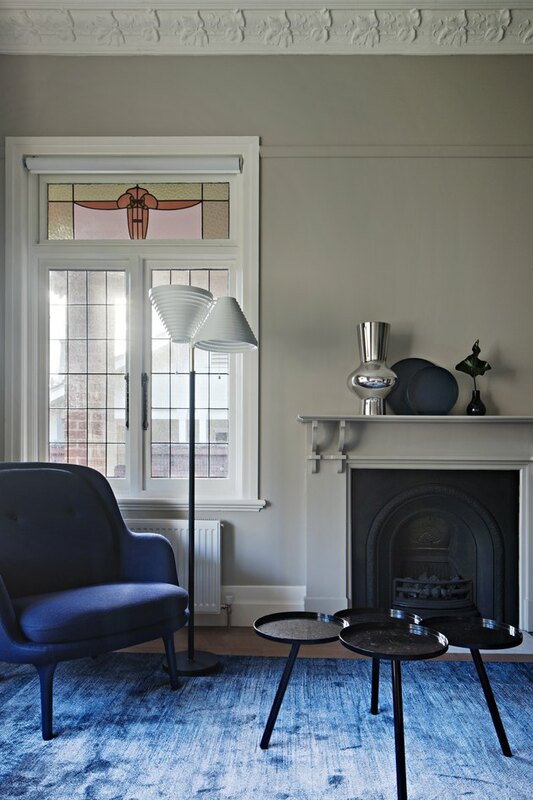 In the living room, the firm left the existing fireplace and stained glass windows. MIM furnished the space with a Living Divani coffee table and a blue Fri chair by Fritz Hansen. In a corner of the shared living room space, a sculptural armchair by Patricia Urquiola is paired with another uniquely designed side table. A blue rug from Tsar ties in the colors from the outside. The marble hearth is a Portsea Grey from CDK Stone. Before the renovation, the interior of the home was smaller and outdated. The design firm kept the dark colors in some places and balanced the rich colors with incoming natural light. At the kitchen island, the underneath is covered in a custom stain and the island is paired with Last Minute Barstools by Viccarbe. The kitchen is equipped with a Franke sink and a gas oven by Smeg. A natural white marble stone by CDK Stone lines the counters. Floors are supplied and installed by Woodcut. 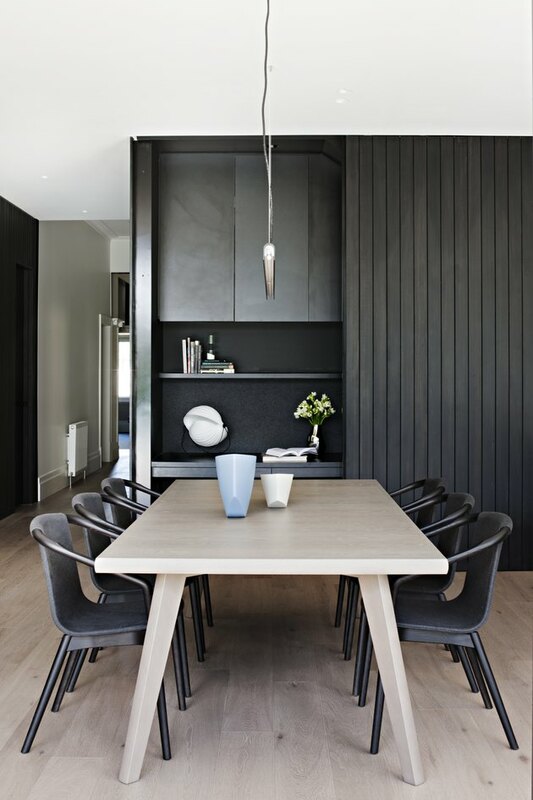 In the dining area, a Sterling table by Lowe Furniture is adorned with a Kose wooden bowl centerpiece and surrounded by Metrica's Thomas chairs. A ceiling light was custom-created by MIM Design. A Gala chandelier by Rich Brilliant Willing hangs over a Heta table by Lowe Furniture. 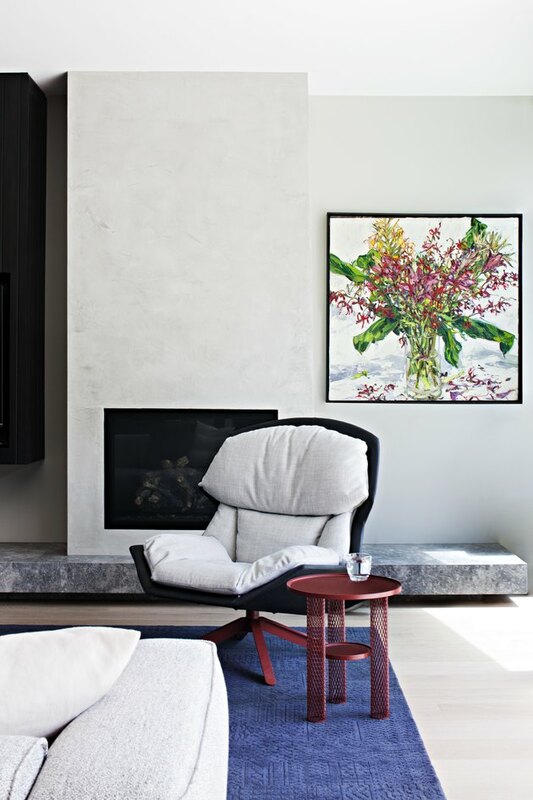 Artwork by Australian painter Nicholas Harding hangs above the fireplace. The cabinets that uncover a reading desk were custom-stained to match the wood panels in the kitchen. 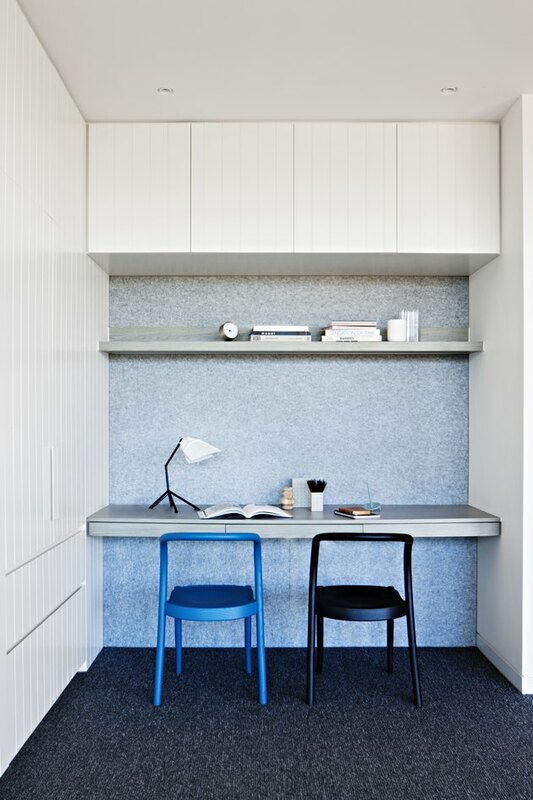 Another office nook in the home shows how MIM worked in contrasts. Instead of the dark stain, the firm painted the same wood white and brought in pops of blue. 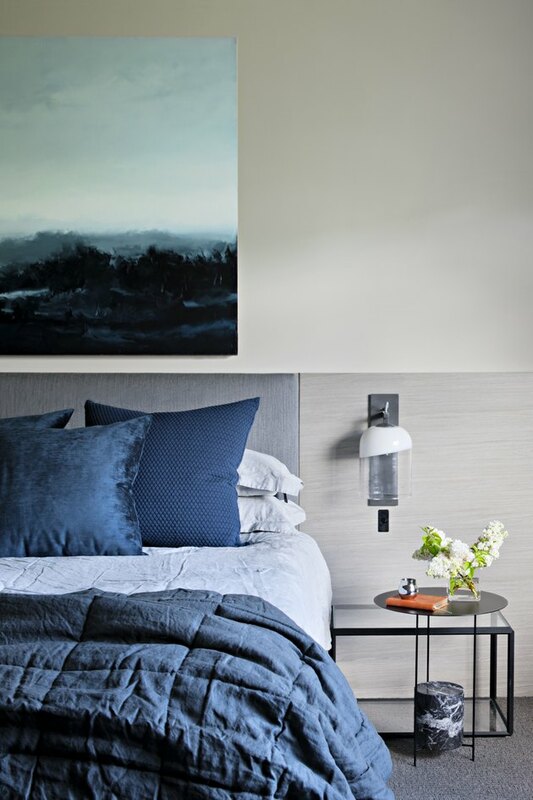 The firm worked with colors that mimicked the nearby ocean landscape — the bedroom combines stone grays and multiple shades of blue. 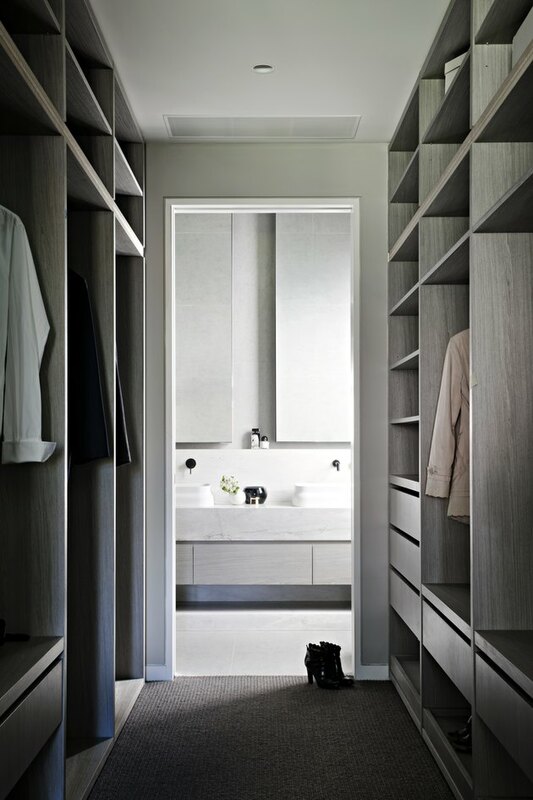 MIM Design created a custom closet for the clients, which continues into a bathroom where an Elba Marble counter by CDK Stone contains a sink from Omvivo.